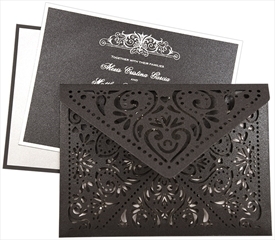 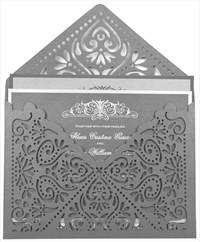 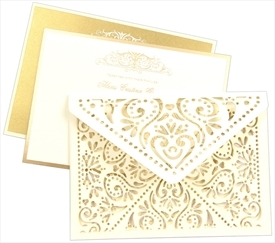 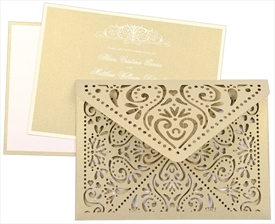 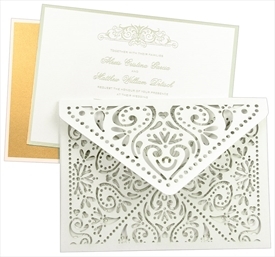 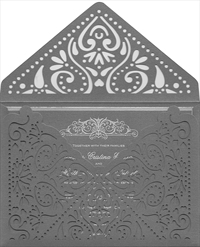 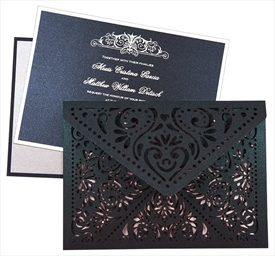 Intricate floral and curly motif laser cut envelope is the beauty of this card. 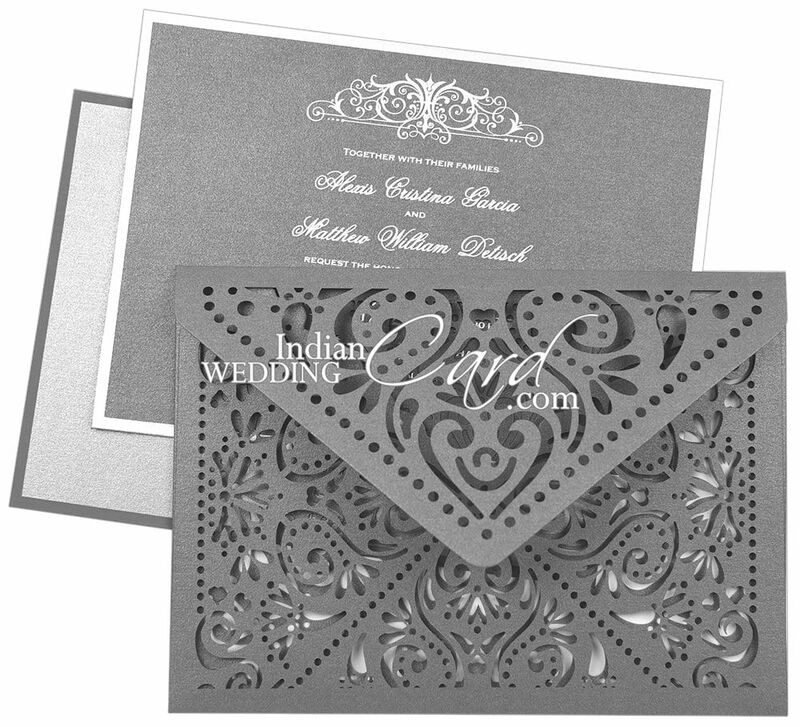 Inserts have motifs on the top and border all around. 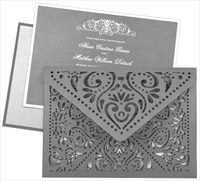 Grey shimmer paper for envelope and one insert (250 gsm). 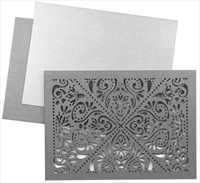 Silver shimmer paper (250 gsm) for 2nd insert.